The SAT Subject Test in English Literature helps assess a student’s comprehension of both the written English language and English Literature from various periods in English history. The SAT Subject Test can assist the student in gaining advanced placement in college level English Literature courses or may help the student gain financial aid and/or scholarships in college level schools of English Literature. The SAT Subject Test in English Literature tests the student’s knowledge of English Language and Literature curricula generally taught in most high schools. The SAT Subject Test does not replace any Honors’ or Advanced Placement testing in English Literature but focuses specifically on high school level curricula and comprehension of high school level English Literature courses. Students taking this test should have already completed at least 2 to 3 years of high school English Literature studies and be familiar with both English and American Literature of different genres from various times in history. 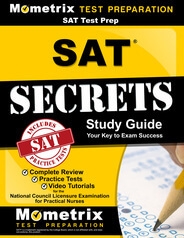 To register online for the SAT Subject Test in Literature, go online to www.sat.collegeboard.org. The registration fees for the Subject Test are $22 (2010-2011 fees). Students may register for an SAT Subject Test by phone ($15, if the student has already registered for a previous test), register late ($26), request to change a test date, a test, or test site ($25). Scores will be posted online at the student’s secure site and/or are mailed for no fee. 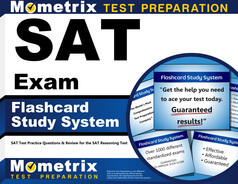 The SAT Subject Test in Literature can be taken at the same testing center where a student would sit for the SAT Exam. The test is generally offered on the same day as the SAT Exam, but may also be offered at other dates. The student may not register to take both the SAT Exam and an SAT Subject Test on the same date. Different examples of English and American prose from fiction, poetry, and a small amount of dramatical works will be included in the SAT Literature Subject Test. The test is timed, and the student has a maximum amount of 60 minutes to complete the test. The test consists of about 60 multiple choice questions and is assembled into six (6) to eight (8) different groups of questions, with each grouping of questions related to a particular piece of literature. The literary excerpt will be notated with the date of its first publication to help the student place the language and the piece into historical perspective. Each set of problems will test the student’s understanding of the respective piece’s content, form, and style. Excerpts of literature typically used in the SAT Subject Test in English Literature are primarily written by British authors (40 to 50%) and American (U.S.) authors (40 to 50%) but may also include up to 10% of literary works written by authors from Canada, the Caribbean, India, or Ireland. Literature from the 20th century (40%) is supplemented by literature from the 1700s through 1899 (30%) and the Renaissance period up to 1699 (30%). Different excerpts will be used in different versions of the test, so these percentages may vary from test to test. The student should be able to demonstrate familiarity of basic terminologies in literature, i.e., alliteration, irony, stanza, speaker, and tone. The student should also be able to display comprehension of audience, characterization, context, figurative language, form, genre, imagery, meaning, metaphor, narrative voice, point of view, text structure, themes, and word connotations as well as denotations. When arriving at the testing center, the student must bring a photo ID, two (2) number 2 pencils, and the printed admission ticket to the SAT Subject Test in English Literature. Students are not allowed to bring to the testing site any books, notebooks, scratch paper, pens, colored pencils, highlighters, rulers, protractors, compasses, timers, cell phones, PDAs, iPods, BlackBerries, or any digital, electronic equipment or devices. A student may want to bring a silent watch to keep track of elapsed time. While it is expected that the student may not have studied each of the particular pieces of literature used in the test, most students who have studied English Literature should be familiar with the various literary features and the meanings of the words and phrases used in the test. Advanced Placement (AP) and Honors’ high school English and Literature courses can enhance the student’s comprehension of the English Language and will help the student greatly in this test. It is recommended that the student begin the test by quickly scanning through all the literary excerpts and questions and choosing familiar pieces first, answering questions that the student considers to be easy, followed by continuing with the unfamiliar and more difficult passages and questions. Read the questions carefully after the first scan. Eliminate answers that are most obviously incorrect, and use the test booklet to mark these answers. Mark off on the test booklet those questions and/or sections that have already been completed. The student is advised to be careful with questions that contain the words except, least, and not, as these types of multiple choices can be confusing. The student should not take too much time on any one section or question but work steadily, continuing on to the next question before too much time has elapsed, particularly if the answer is not known. Take a guess! And then move on.